Nokia Lumia 710 to be released in January. Maybe. Over the weekend UK retailer digital-phone.co.uk have put a new product page on their website. 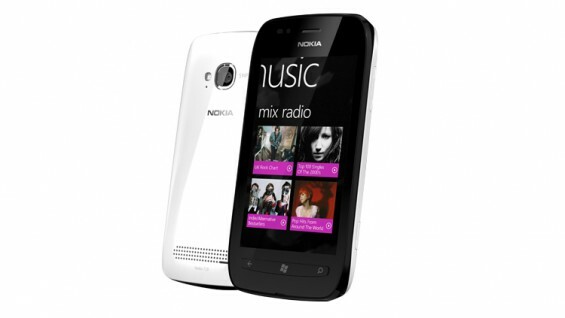 It is for the upcoming budget Nokia Windows Phone the Lumia 710, where it shows a release date of the 6th of January. Not a lot has been heard about the 710 as the 800 has been all over the media recently. The 710 is a cheaper model with a few less fancy features and should hopefully be the device that really help Nokia get back on track selling phones. Another interesting fact is that Nokia now have a product page for the Lumia 710 as well, details here, where it shows the 710 in white. But still we do not have a solid official release date. I guess January will be a realistic date as Nokia announced this week they had started to ship the 710. This is going to be an interesting device when it comes out as at the moment there are not many entry level or budget Windows Phone devices. Only the rumoured Acer Allegro and that’s it really. Nokia N9 soon to be available in white. Fingers crossed for a white Lumia.